This blog discusses the assassination of President John F. Kennedy on November 22, 1963. I apply 50 years of interest and research, which include both lone assassin and conspiracy viewpoints, into this blog. I invite readers to share their comments and respond to differing points of view. POTENTIAL HARM TO NATIONAL SECURITY? Washington, D.C. (JFKASSASSINATION) The 1992 JFK Assassination Records Collection Act* stipulated that ALL information collected on the assassination "be released within 25 years--barring any exceptions designated by the president." That designated time period elapsed on October 26, 2017, but "bending to appeals from the CIA and FBI," President Donald J. Trump called for a six month review. Deb Riechmann of the Associated Press reports that while 19,000 records were released by the National Archives this past Thursday an "undisclosed amount of material remains under wraps." The President says the reason is "potential harm to...national security." 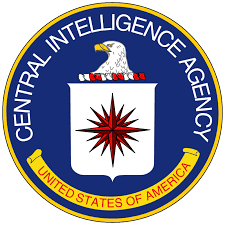 Mr. Trump has asked federal agencies, including the CIA, to take the next 3 years "to see what more can be released." Riechmann writes that JFK researcher Larry Sabato believes "it might be 100 years after the assassination before everyone has a more complete picture of what happened." "Lee Harvey Oswald didn't miss, and the American public doesn't want to believe that one man could murder Camelot." *JFK Assassination Records Collection Act provided for the expeditious disclosure of records relevant to the assassination of President John F. Kennedy &amp; was signed into law by President George H.W. Bush on October 26, 1992. **David Atlee Phillips (1922-1988) was born in Fort Worth, Texas &amp; educated at the College of William &amp; Mary. DAP served in the US Army Air Force in WWII &amp; was a CIA officer for 25 years rising to chief of operations in the Western Hemisphere. Did DP secure the TSBD? Dr. Earl Rose Says "You Can't Take That Body"
How could a bullet go through both JFK and Connally and be recovered in pristine condition? How could medical staff at Parkland be wrong about JFK's throat wound? How could Oswald be on the 2nd floor 90 seconds later? How could witnesses be wrong about JFK's head wound? If Oswald Killed JFK WHY? Mr. President What have they done? Who else was involved and why did they want to kill JFK? Who had the most to gain from JFK's Death? Who was responsible for the murder of Lee Harvey Oswald? Why did JFK's motorcade make turns in violation of SS code? Why did so many witnesses believe shots came from the Grassy Knoll? Why didn't the Warren Commission Call Bill Newman? AIR FORCE ONE FLIGHT TO WASHINGTON, D.C.
WHY DID JFK'S MOTORCADE MAKE TURNS IN VIOLATION OF SS CODES? "MY GOD, SHOT IN THE BACK!" NATIONAL GEOGRAPHIC TO AIR "JFK: THE LOST BULLET"